Get Ready For The Best Carpet Cleaning in Clermont and Lake County Florida? You'll love our dry organic carpet cleaning service... We Guarantee It! 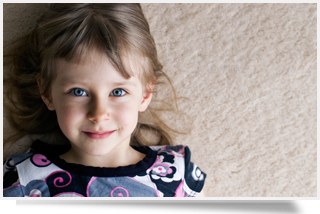 Get Your Quote Now!Get a FREE, No-Obligation quote for your next carpet cleaning. We'll give you a to-the-penny no-obligation quote. Welcome to the website of SaniClean Carpet Cleaning, Clermont’s original dry organic carpet cleaning company. Our #1 mission is to provide an Eco-friendly, safe carpet cleaning that will leave your home looking and feeling fresh, clean and healthy. Our goal is to provide the best carpet cleaning ever and and exceptional service experience. Our deep cleaning dry organic carpet cleaning service is incredibly effective and very affordable. That’s why so many our loyal clients – residential and commercial – use us exclusively for their carpet cleaning needs. For a FREE No-Obligation Quote, just fill and submit the short form above, sign up to receive our special offers, call us with any questions and enjoy our exclusive savings! Does it work? Here are some before and after images…. you decide. Right from the start, David was courteous, knowledgeable and accommodating to our requests with our carpets. We have three dogs and the carpet was in bad shape. However David along with his organic methods removed all dark spots and stains. All carpets were brought back to life again in a very professional and efficient manner. The price for the service was excellent and David was very meticulous throughout. I would and have recommended David and SaniClean to all my friends as I do not think you will find a better all round service in the Orange or Lake County area. At SaniClean Dry Carpet Cleaning, we’re passionate about dry organic carpet cleaning and our mission is to provide each of our customers with an exceptional carpet cleaning service for a reasonable, affordable price. With our unique dry organic cleaning system, you will receive not only the deepest carpet cleaning available, but also peace of mind knowing we use safe, non-toxic, eco-friendly products. Our process thoroughly rids your carpet of dirt, stains, allergens and other contaminants and even removes soil and detergent left behind by other methods or inexperienced carpet cleaners. You’ll Love It… We Guarantee It! Dry Carpet Cleaning means NO WET CARPETS! Don’t be misled by other carpet cleaning companies who only claim to use a dry carpet cleaning process. If they use a portable or truckmount wet system to clean your carpet, it is simply not dry carpet cleaning. If they can’t remove 100% of their dirty soap and water, your carpet isn’t clean. We use a 100% Dry Organic Carpet Cleaning System. It’s the NEW WAY to clean carpet! Dry extraction carpet cleaning means Really Clean Carpet! Don’t be fooled by other carpet cleaning companies who promote a quick dry time. If they use a truck mounted or portable system to clean your carpet, it is simply not dry carpet cleaning and your carpet will be wet for hours – maybe days. Also, if they can’t remove all their dirty water, your carpet is clearly not clean. We exclusively utilize a 100% Organic Dry Carpet Cleaning Method. Dry Carpet Cleaning is the #1 Recommended Carpet Cleaning Method Worldwide. At SaniClean Carpet Cleaning, we take pride in our reputation, experience, education, systems, and guarantee. Dry Carpet Cleaning means NO WET CARPETS! Don’t be fooled by other carpet cleaning companies who claim to be dry carpet cleaners. If they use a truck mounted or portable system to clean your carpet, it is simply not dry carpet cleaning. If they can’t remove all their dirty water, your carpet is clearly not clean. 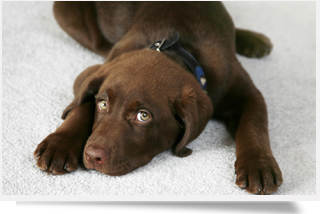 We exclusively utilize a 100% Organic Dry Carpet Cleaning Method. Dry Carpet Cleaning is the #1 Recommended Carpet Cleaning Method Worldwide. At SaniClean, we often run into some really tough jobs. The question is always can any thing could be done to save our carpet or is the only option to invest in new carpeting? Is our dry organic carpet cleaning system powerful enough to handle the really tough jobs? Check out our before and after images and decide for yourself. You won’t believe the difference SaniClean Makes!